The ISTC engineers participated in the efforts to expand the GJU network to provide Internet service in building H, building M, building G, and the bank building in the main campus. The project also covered the consultation and vision rehabilitation centers in Jubaiha, as well as the SABE buildings in Jabal Amman. 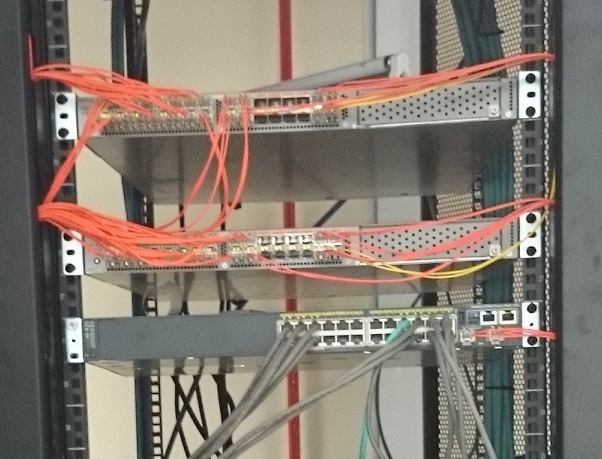 The work included specifying the project requirements; following up on the tender; installing and configuring switches as well as wireless access points; interconnecting all the new devices to the end points, core switches, controllers, and firewall in the data center; as well as re-configuring the whole Intranet and VLANs to identify and group the new devices. Special thanks to engineers Khalil Hanbali, Tamer Hyasat, and Ali Sareira for their great contributions to successfully complete this important project.